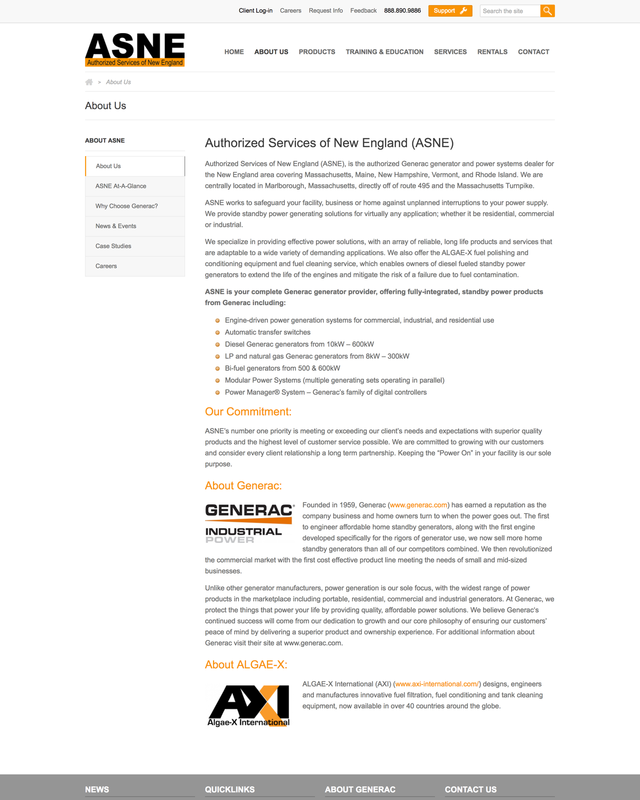 Authorized Services of New England (ASNE), is the authorized Generac generator and power systems dealer for the New England area covering Massachusetts, Maine, New Hampshire, Vermont, and Rhode Island. 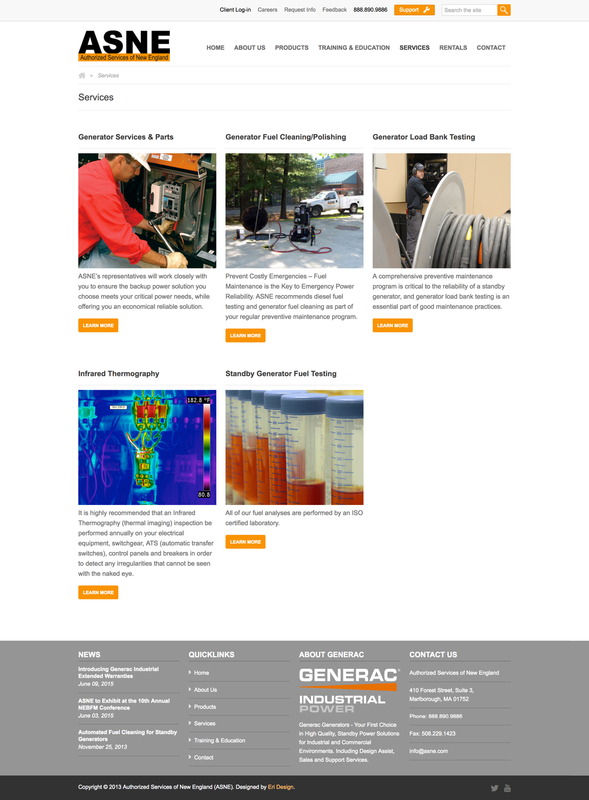 They work to safeguard your facility, business or home against unplanned interruptions to your power supply. 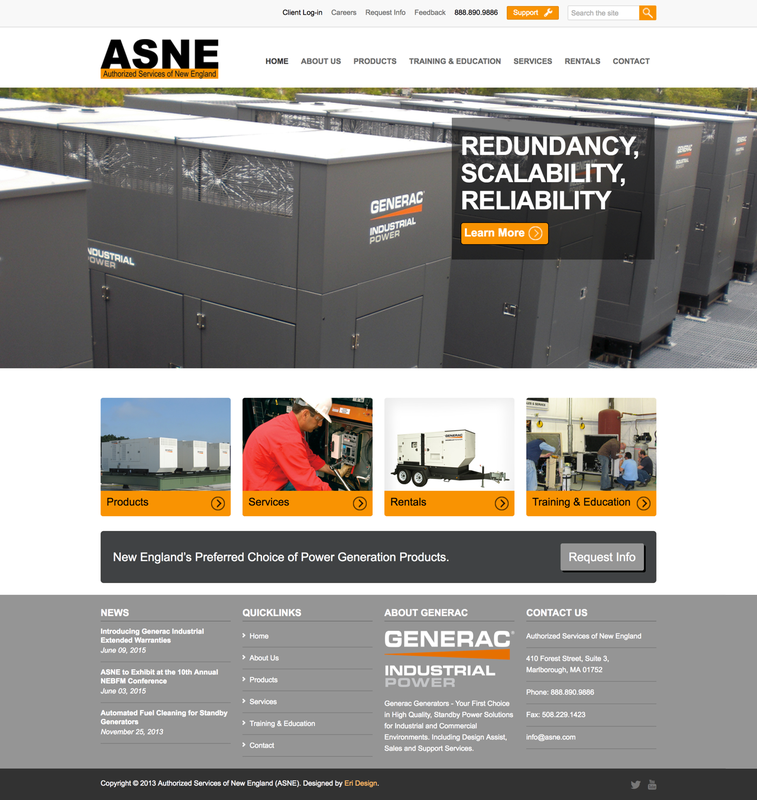 ASNE provides standby power generating solutions for virtually any application; whether it be residential, commercial or industrial. 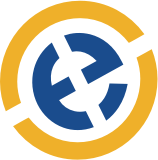 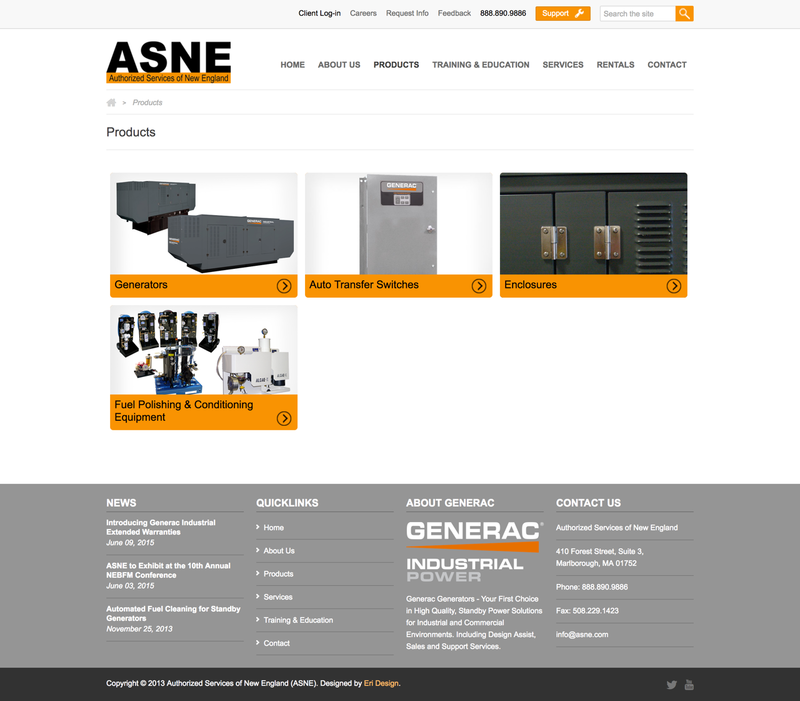 We worked with ASNE to design a website that reflects their brand and effectively presents both their services and products.